I've only been to a handful of major league ball parks but for now the San Diego Padres' Petco Park is in a league of their own. The park embraces craft beer embraces craft beer - not just tolerates it like Nationals Park. I only strayed between the third base line and home plate in the 200 level but saw dozens of unique craft beer options at multiple stands. 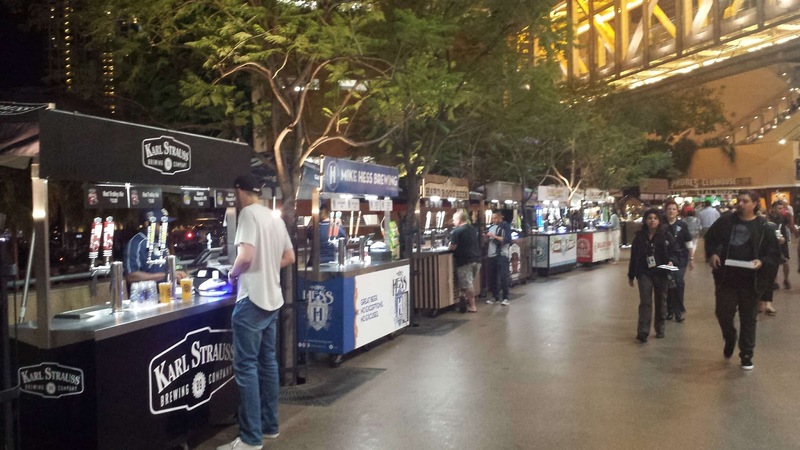 There's even a dedicated stretch of pavement for craft beer carts. And all local craft breweries: Stone Brewing, Pizza Port, Mission Brewery, Karl Strauss Brewing Company, AleSmith Brewing, and Mike Hess Brewing Company. Walking past these carts will take you to a larger craft beer vending area (with longer lines) including Coronado Brewing Company, The Lost Abbey / Port Brewing Co., and Saint Archer Brewing Company among others. 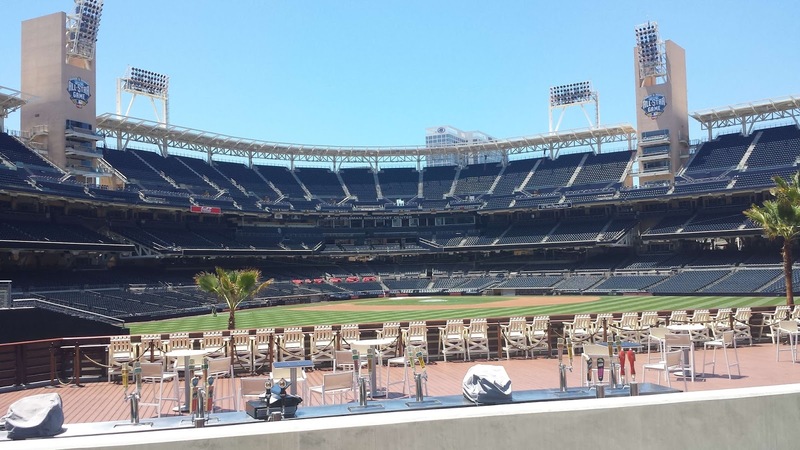 There are other craft beer options as well starting in the center field patio where Ballast Point Brewing Company and Sculpin are King overlooking taps from other local breweries. 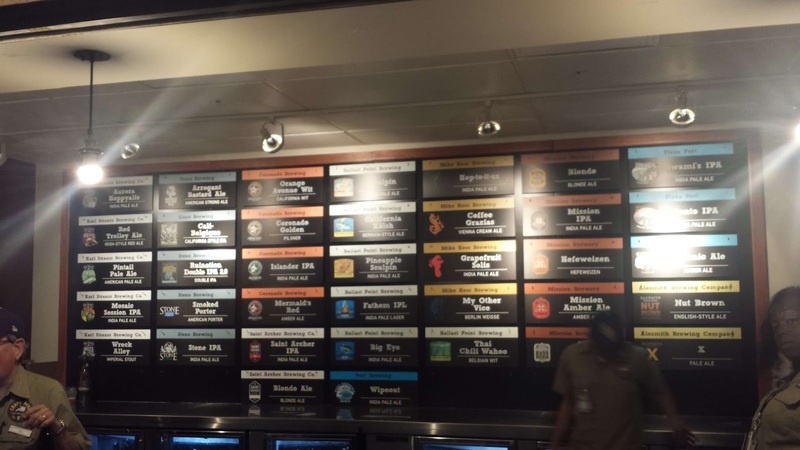 Although I didn't venture into the 300 level I read that Stone Brewing has a dedicated tasting area and I'm sure other craft breweries are represented. As for non-local breweries, I did see a lonely Goose Island Beer Co. and thought why bother. I stuck to lighter beers but there were a plethora of other beer styles. The Ballast Point Kolsch and Mission Blonde were my go to beers, whereas my IPA laced sibling chose Sculpin, the Stone IPA, and the ridiculously delicious Karl Strauss Aurora Hoppyalis IPA. If you care to pre-game, there are a few breweries within walking distance starting with the neighboring Stone Brewing Tap Room and Half Door Brewing Company - two blocks away. On an outer parameter you can find Monkey Paw Brewing, The Beer Company, and Resident Brewing, then take the Craft Beer Bus to Mission Brewery -and then be deposited at the stadium gates. Cheers to craft beer and baseball.